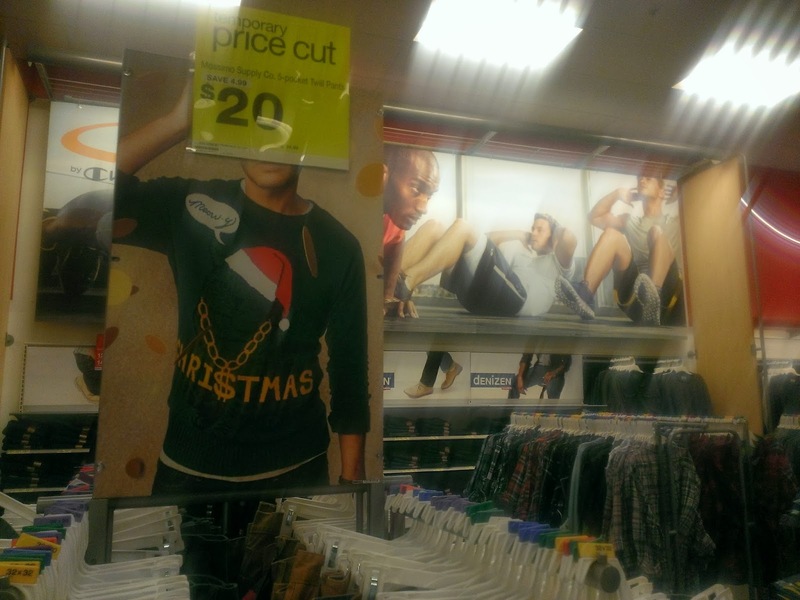 As we approached the men's section, I could see the sign for the sweaters like in the picture at the top of this post. All ready to try on some fun sweaters, I hurried over to the rack only to see that there was not one to be found. This was the Annapolis, MD location, which is popular. I'm quite sure a lot of the locals picked up the sweaters right after they arrived in the store. 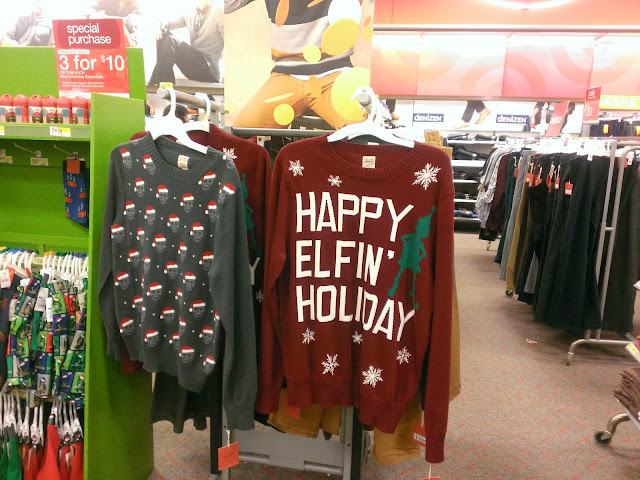 But, to make sure I wasn't missing my chances of scoring one, I asked the associate if there were any "ugly holiday sweaters". She knew what I was talking about immediately and responded with a sad face, "Sorry. Those sold out pretty quickly." All that was left...was the sign. Bummer! I honestly had no clue that ugly was the new black. 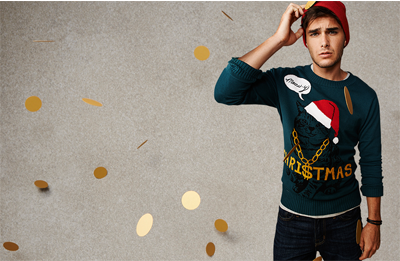 For some reason, this year sparked amazing conversations about ugly Christmas sweaters and there has been such a high demand for them. Could Target be to blame?! I knew in my mind that I could not possibly give up so easily. My son really wanted one of those sweaters (can you believe that he can wear the smaller items in the Men's section now...gasp?!). I could not let him down. I decided to give another location a try. 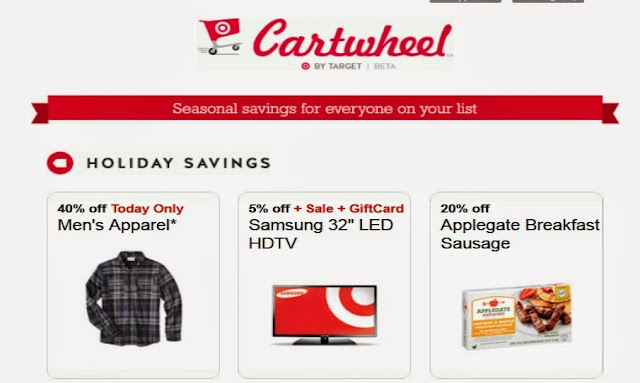 Miraculously, before heading to another Target location, I received an offer from Cartwheel (Target's amazing discount app) for 40% off of Men's Apparel. Yeeeesssssss!!!! I was so in. My sons and I hesitantly headed to the Men's section. From far away, I could see a few scattered selections of the ugly holiday sweaters on the rack. I think I must have screamed. Amazingly, there was a size small in the style that my son liked. We grabbed it as if there was another person there trying to fight us for it. Ha! How adorable is this sweater? 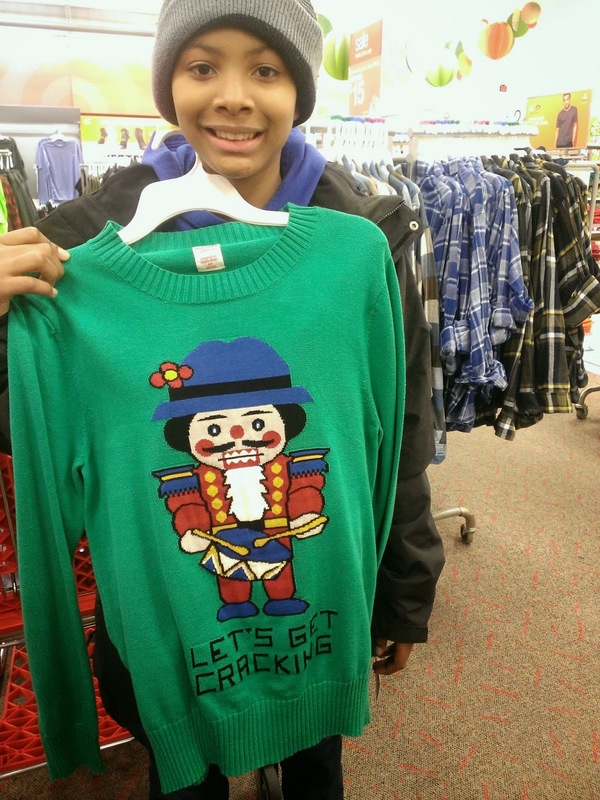 A nutcracker saying, "Let's Get Cracking". Genius. And the green is such a vibrant color. The sweater retails for $29.99. After using the 40% off of Men's Apparel discount from the Cartwheel app, the sweater dropped down to roughly $18. 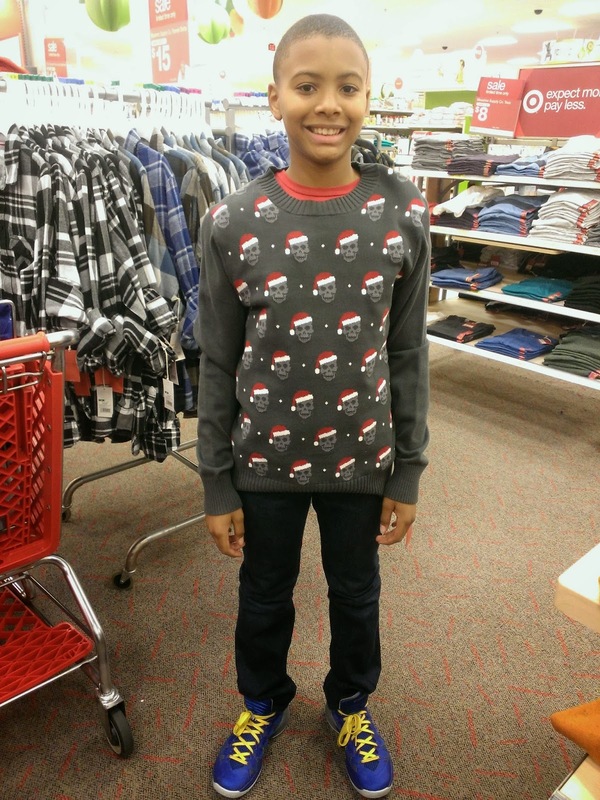 I was also provided a Target gift card to use during my shopping trip, so we basically got the sweater for free. Hooray! I was short on time during my initial trip to Target, but I did manage to take a quick peek in the shoe section and the women's section. 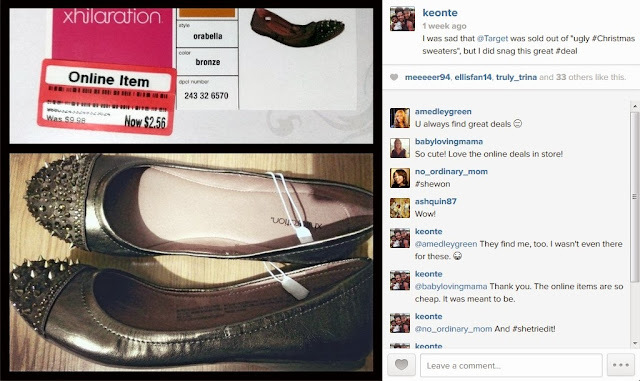 Can you believe I scored a pair of flats with spike embellishments for less that $3? Well, believe it, people. Target always has amazing deals like this when you least expect it. I had to share this great news with my online friends. I even found the most appropriate sweater for myself, and half of the online female population, with the hashtag, SELFIE. How hilarious is this?! Overall, this was one of the most fun I've had in awhile looking for a holiday-themed ensemble. 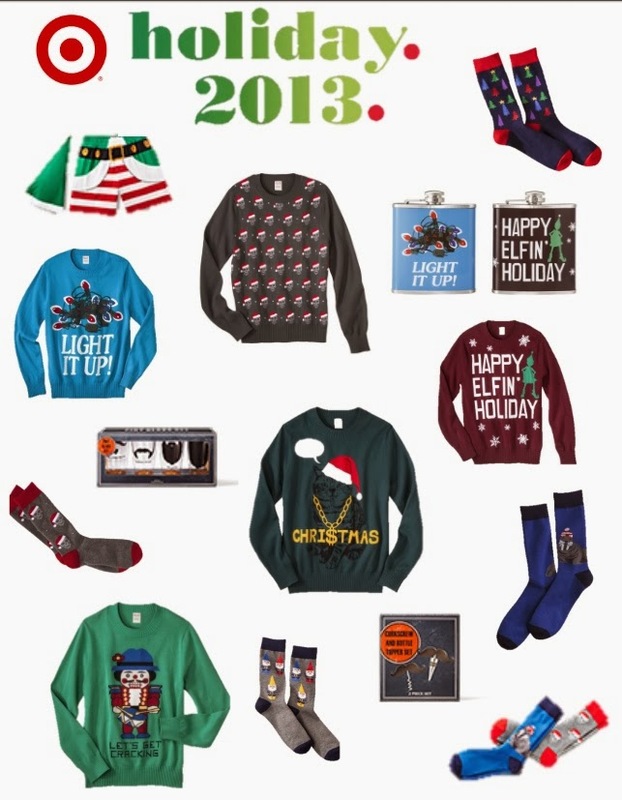 It was a first for me to see such an assortment of "ugly" sweaters in a popular store like Target. I would normally head to the thrift store to shop for such an item. But, it was a great opportunity to spend time with my son and come to the realization that he is growing up. I'm still trying to process the fact that he can wear some of the clothing in the men's section. Oh, dear! 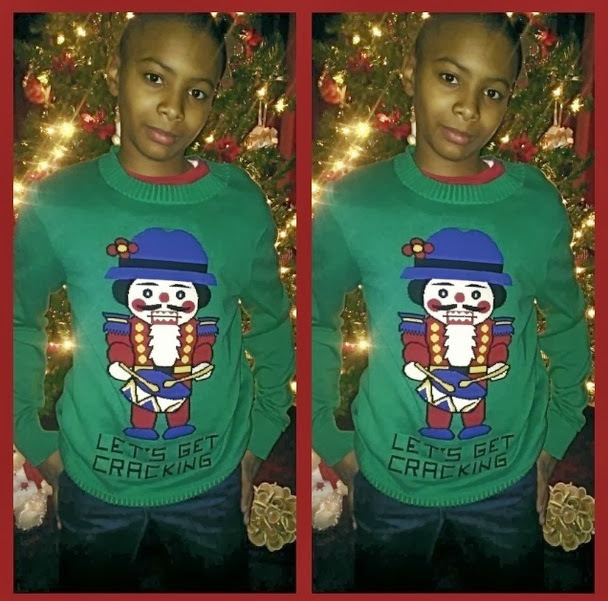 I know that this ever popular line is deemed "ugly", but after looking at my son sport his Nutcracker sweater, I would say it's PRETTY, darn awesome! Happy holidays and Merry Christmas. Hope your days are filled with fun fashion finds such as the ones at Target. Don't miss a post. Have Mommy 2K updates delivered to your mailbox. Sign up here. 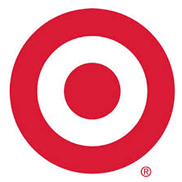 Content and/or other value provided by our partner, Target. I received a Target gift card to shop for items in the store. There was no monetary compensation. The opinions and views are my own. Hi! I'm Keonté. Most people call me, "Kea". I am a Maryland native living in a rural town where tractors & farm animals are plentiful. But make no mistake – I have city dreams. My boys are my world (Kaden & Liam), family is everything, paying retail price is a sin and volunteering is my cardio. These are my stories – the good, bad, funny & sad. Hope you stick around to enjoy them all.